Why use SitePoint Books and Courses in your Class? Theyâ€™re informative â€“ and fun. 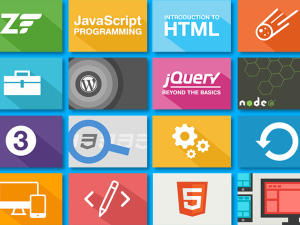 Whether you are an instructor assigning pre-work or post-work, and working in a flipped, blended, remote or traditional classroom, SitePoint offers a range of content and products to help you teach your students web development and design. Whether you are seeking SitePoint articles and tutorials, SitePoint print and ebooks, or video screencasts and courses on SitePoint Premium, you will find materials that are are clearly laid out, well-explained, and easy to use â€“ but most of all, fun! Detailed, technical language has its place â€“ and weâ€™re not afraid to get our hands dirty â€“ but our relaxed, conversational style has won fans the world over. Practical examples. Theory is great, but we think the most effective way to learn is with practical examples. Thatâ€™s why all our titles relate new ideas and techniques to real-life scenarios â€“ so you can put them to work without hours of guesswork. Working code archives. SitePoint books and Premium courses include code archives covering every example â€“ giving you code to take away, adapt, and implement in your own site right away! Validated and Verified. Our tech reviewers scour through each title, so you can be confident that the examples presented are robust, effective and ready to use. Helpful Assistance. SitePoint is known for its service and support. Ebook readers and course takers have access to knowledgeable teaching assistants — and even the authors and teachers themselves — who are known to respond to student inquiries. Up-to-date. We published our first title on web design without tables way back in 2003. Since then, weâ€™ve been avid believers in best-practice web development, not just in HTML and CSS, but also in fields from database programming to business management. With our titles, your students will learn the most current approach to the topic. SitePoint products are some of the clearest and most informative self-study products on the market today! Your books are chock full of easy-to-understand and highly relevant examples. We regularly provide volume discounts on print books, ebooks and SitePoint Premium memberships to diverse types of educational institutions and corporate learning groups. To explore ways that you can integrate books, videos and courses into your classes and curricula, complete this form or email us.